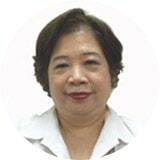 Helen Tan has over 40 years of experience in share registration. She joined B.A.C.S. in 1973 as a share registration assistant. She was promoted to her current post in 2008. Helen has a depth of experience in several areas of security registration and management including Initial Public Offerings (IPO), share placements, rights issues, bonus issues, warrant issues, share options, dividend/scrip issues and mergers/takeovers. She has acted as a scrutineer for several companies and has years of experience working in coordination with Singapore Exchange (SGX) and the Central Depository (CDP).